For a mountain bike experience unique in the East, try lodging at one of the Maine Huts & Trails (MH&T) comfortable huts. 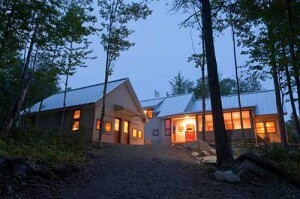 Both the Stratton Brook and Poplar Stream Falls Huts are located within the heart of the trail system and offer comfortable heated bunkrooms, hot showers plus home-cooked dinners and breakfasts. These two huts have bike racks, great spaces for you and your group to socialize and serve beer and other beverages after a hard ride. The other huts in the system are a bit more off the beaten track but can offer a more of a backcountry destination for adventure cyclist. CRNEMBA and MH&T share a unique partnership with the Town of Carrabassett Valley in promoting area biking and in local trail construction. Visit the MH&T website for lodging details or learn more about our Partners. 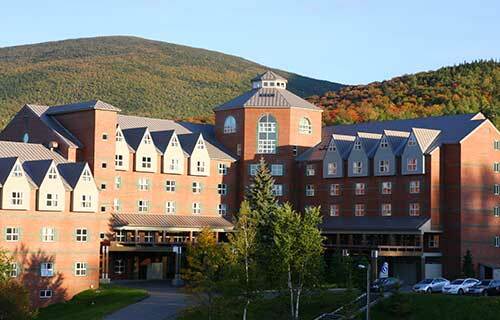 Try the Sugarloaf Hotel for a full service resort experience. Fine dining and a full service bar are available on site and the trail system passes right by. Condominiums and other accommodations are also available through resort reservations. The Herbert Grand Hotel (Kingfield) – 207-265-2000.